Summer is in full swing here, with record breaking heat. The kids are done school, with a good 2+ months off, and I’m finding ways to sneak some relaxation into busy days full of taking care of the family, changing diapers, constant breastfeeding, and cooking. There’s been lots of dips in the pool, and THIS! This iced latte is amazeballs. It makes my mornings (or afternoons, let’s be honest) sparkle! And there’s like 15 calories in the whole thing! Clean cheats for the win! What’s a clean cheat? Something that tastes so good that you feel like it must be unhealthy, when in reality it’s not messing with your nutrition goals at all. 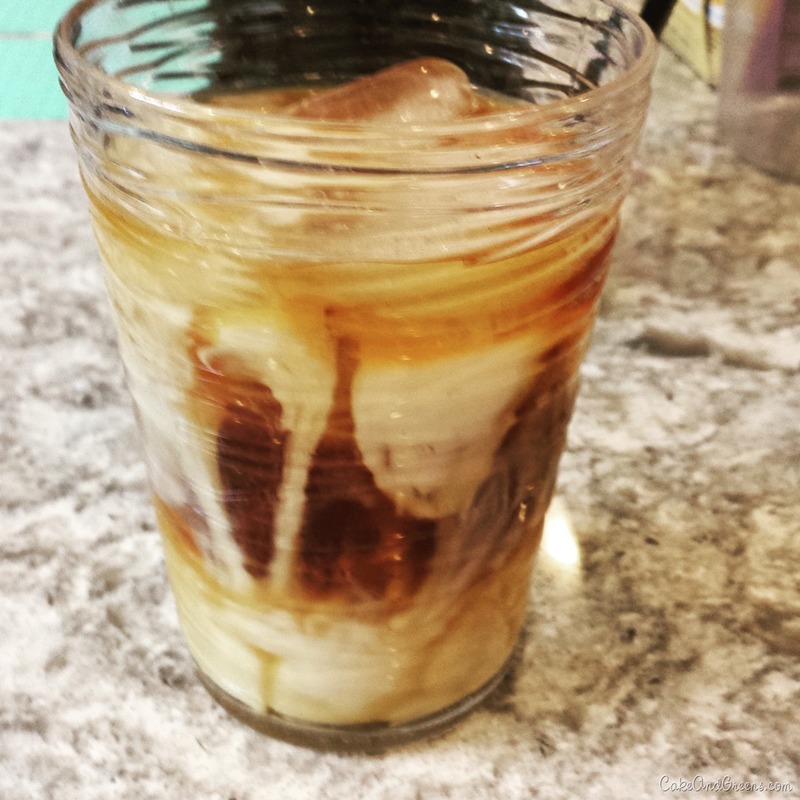 Alright, go make this iced latte and take a 10 minute break. You earned it! 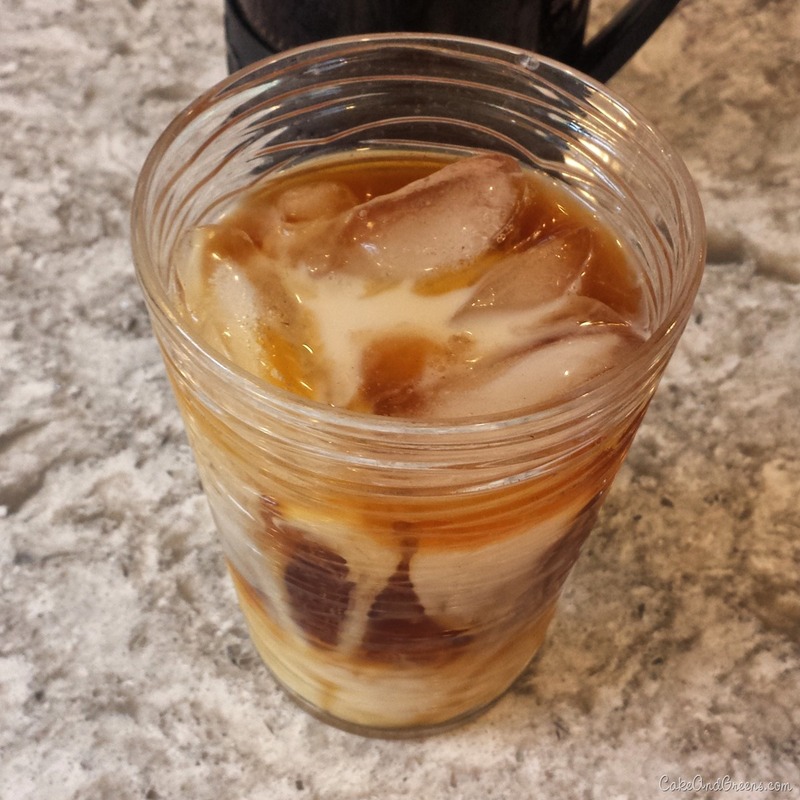 Fill cup with ice, add stevia drops followed by coffee and cashew milk. Stir then top with cinnamon. *The stevia I used is Toffee Caramel, like this one, but I’ve heard great things about this sweet leaf version.